WordPress as it is, is quite a robust content management system (CMS) — but even with the plethora of 3rd-party extensions, it seems there's always something unique that every site needs to really feel complete. From custom themes & widgets to custom plugins and everything in between, we can build it so you stand out from the pack. The web-using world is transitioning to smaller footprint devices when surfing, this is true. But large format devices are still heavily in use. You don't want to run multiple websites, just so you can keep both sides happy. This is when you make the site responsive to the screen size of the user. We build you one website and with it, you can provide service to all of your users, regardless of the device they're browsing on. As delicious as it sounds, database management & maintenance is generally a tedious task. But to make matters more fun, it's also a task that you can't afford to have handled poorly: Your website's content, your email lists, your sales records — all depend on having maintained and working databases. We can provide both regular backup services, as well as design and code guidance for your custom databasing needs. We've done it all, and we can do it all for you. Looking to build services for end-users? Looking to hook into services provided by others? We can do both, using a REST-ful approach to help keep your server load down and make for an intuitive, consistent interaction for your end-users. Can't find the menu? Your end-users won't be able to either. User Interface and User eXperience are about making your website intuitive for your end-users. And that ease-of-use will keep them on your pages longer. We utilize large amounts of human factors research, as well as good old-fashioned experience, to give your website the most useable functionality to go with its beautiful look-and-feel. Your brand is more than just a logo, some colors and a font. It's about having an easy-to-remember and distinctive emblem for yourself so that when your end-users see it, they think of you, not of some something else. Our lead designer has over 30 years of experience in this critical area of "making people pay attention". 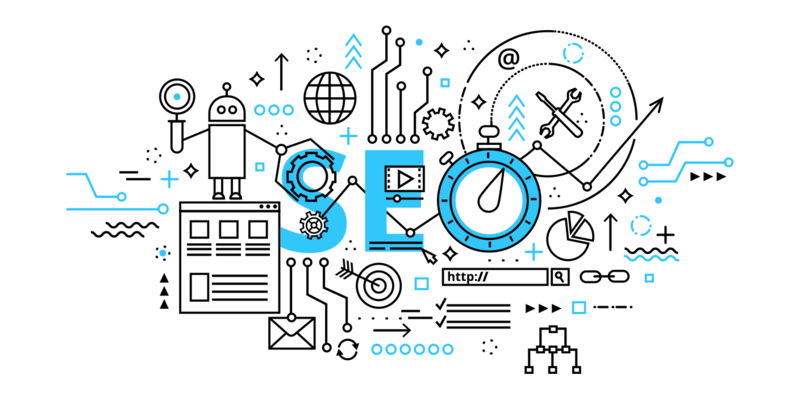 Social Media and SEO are both constantly moving targets, and for good reason: People try to game the system so they end up at the top of search results. We don't take that approach [gasp]. While we can't write what you have in your head, we can help you to adjust your copy so as to give it the best chance of jiving with your customers, and the search engines. Pictures, worth a thousand words. Animations, worth an order-of-magnitude more. We do both with our talented graphic artists, and all without distracting away from the actual content of your site.